Spring sees the confluence of modern Fijian and classical European themes in a new seasonal menu for Outrigger Fiji Beach Resort’s Ivi restaurant. 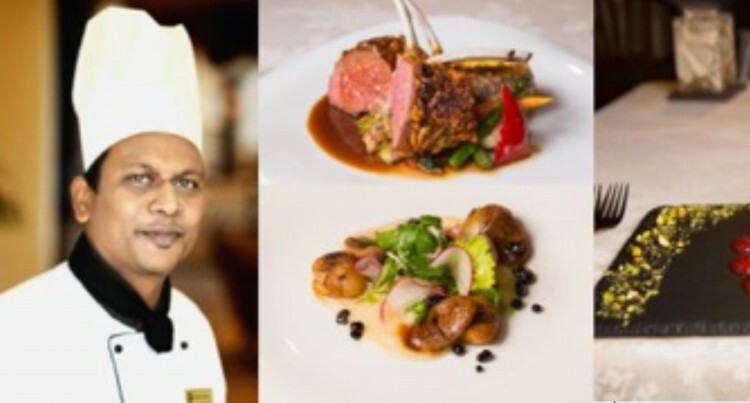 Created by Restaurant executive chef Shailesh Naidu, it showcases the best of local produce to feature dishes which include rare roasted duck breast with truffle tomatoes, balsamic scallops with chorizo and pear puree and Fijian ‘Lovo’ lamb shank marinated in honey and ginger. The highlight of the dessert offerings is an interactive dessert of hot caramel sauce poured over a chocolate shell to reveal a filling of tangy lemon and lime mousse. Chef Naidu said he has attempted to deliver the best of popular traditional dishes enhanced with contemporary influences. “This spring we really wanted to focus on a menu that is fresh and lively and which embraces those familiar spring flavours while displaying the edginess which Ivi diners have come to love. “The textures and flavours focus on some of my favourite local produce with each dish having its own, individual character aimed at stimulating the senses,” he said. Ivi is the pre-eminent restaurant in Outrigger Fiji Beach Resort offering contemporary cuisine paired with a sophisticated wine list and exceptional service to create a premium dining experience. At the 2017 ANZ Fiji Excellence in Tourism Awards, Ivi Restaurant won the award for Best Visitor Dining Experience while Mr Naidu was named as the industry’s most outstanding Tourism Leader in recognition of his outstanding work as founder of the Master Chef School Challenge and mentorship of young chefs. Casual diners at Outrigger Fiji Beach Resort can enjoy a fresh new menu at Takia on the Go, the takeaway option overseen by executive chef Naidu. Takia on the Go, open from breakfast until late in the evening, now features chef Naidu’s iconic chili chicken pie together with salads, freshly baked pastries, cookies and croissants. Ideal as a quick solution for hungry families or travellers passing by, the menu also offers fresh juices, smoothies, homemade Bircher muesli and fresh fruit salad while the resort’s experienced baristas are on hand to serve coffee and tea. Outrigger Hotels and Resorts is a privately held leisure lodging, retail and hospitality company with corporate offices in Hawaii and operating globally in the Asia-Pacific, Oceania and Indian Ocean regions. From its Outrigger Signature Experiences to its Outrigger DISCOVERY loyalty programme, the values-based company invites guests to escape ordinary with exceptional hospitality and authentic cultural experiences, incorporating local traditions and customs at each of its properties worldwide. Founded in 1947, Outrigger has grown into a highly successful, multi-branded portfolio of hotels, condominiums and vacation resort properties, including Outrigger® Resorts, OHANA Hotels by Outrigger®, Hawaii Vacation Condos by Outrigger®, Embassy Suites®, Holiday Inn®, Best Western®, Wyndham Vacation Ownership® and Hilton Grand VacationsTM. Outrigger currently operates and/or has under development 37 properties with approximately 6,500 rooms located in Hawaii (Oahu, Maui, Kauai, Hawaii Island); Guam; Fiji; Thailand; Mauritius; and the Maldives. Find out; find Outrigger at: www.outrigger.com or visit @OutriggerResorts on Facebook, Instagram and Twitter.